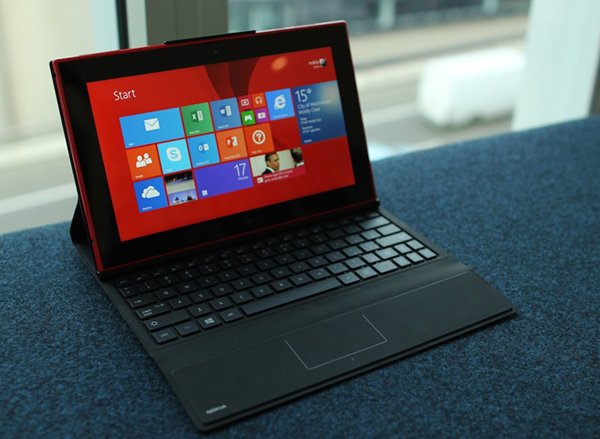 Nokia has also launched its first Windows tablet at Nokia World a while back and this tablet comes with a SIM card slot for 4G LTE support along with a 10.1 inch display with enhanced outdoor visibility. The 10.1 Inch multi touch display sports full HD 1080p resolution and is protected with Corning gorilla glass 2. The Tablet looks beautiful as far as build capacity is concerned and runs on Windows RT 8.1 operating system which almost faded out due to its shortcomings, primary of which is the lack of support for legacy desktop apps which Windows 8.1 on tablets can provide. 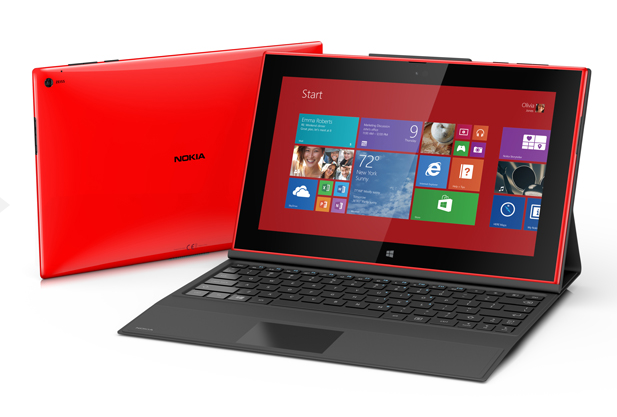 The Tablet is powered by Snapdragon 800 processor similar to Nokia 1520 phablet. The 2.3 GHz Quad core chipset with Adreno 330 GPU and coupled with 2 GB of RAM will give you efficient performance. The internal memory is 32 GB and can be extended with MicroSD card support. You will also get SkyDrive Cloud Storage. The primary camera is 6.7 MP camera with F1.9 Aperture and Zeiss Optics. A 2MP Wide angle camera is also present at the front. The camera specs are excellent considering the large screen size. You won’t be using it for photography that often but with this hardware and software, you might just want to. The Nokia Story teller App which integrates your camera pics with the Nokia Here Maps has also made its way to this tablet. You can Zoom out on Maps and see where you clicked each image. Another app to assist and edit your videos, Video Director App, has also been added. The battery capacity is 8000 mAh which is pretty awesome and Nokia has incorporated various software optimizations to make this battery last even longer. The battery can charge from 0 to 80 percent in about an hour. Nokia has also announced a Keyboard with touch pad which is a companion of this device and brings with it an added 5 hours of battery backup. It also comes with 2 additional USB ports. The tablet comes with stereo front facing speakers and is significantly heavy at 600 grams. Connectivity features include NFC, A-GPS+GLONASS, WLAN 802., microUSB 3.0, Bluetooth 4.0 , 3.5mm audio connector. The hardware is amazing at least on paper but will bear the brunt of the Windows RT operating system. These awe-inspiring hardware features are made available at $450 and the availability will start with USA, UK and Finland.